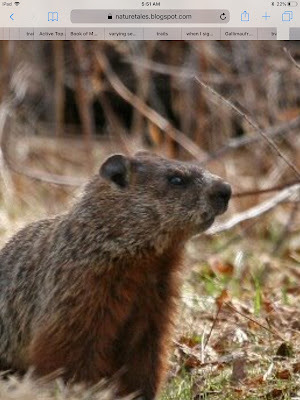 nature tales and camera trails: Groundhog for Saturday Critters. And let us know that spring is drawing near. And please give us a good report, please do! Have a wonderful day everyone and try to stay Warm! Hello, cute poem. I almost forgot today was Ground hog day. I am hoping for an early spring. 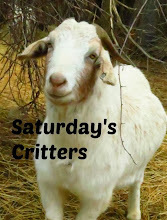 Thank you for linking up and sharing your post today. Happy Saturday and have a great weekend. It's a good thought. I am not confident, though! It's a fun way to break up the hohums of winter by making a big deal of a cute, but not cuddly creature. Early Spring my arthritic toe says! Maybe a Pine Grosbeak for Saturday Critters.